My kids are pretty young, so I assumed that I would have to re-explain the activity and its meaning again this year, but my six-year-old cut me off. He explained that the marshmallow was like the body of Christ; we rolled it in butter and cinnamon/sugar, or the clothes, and then wrapped it in the crescent dough, representing the cave. While the rolls were in the oven, we talked about how Jesus wandered in the desert resisting the temptations of Satan. My kids did NOT resist the temptation to eat marshmallows and dip their fingers in sugar, but that's okay. 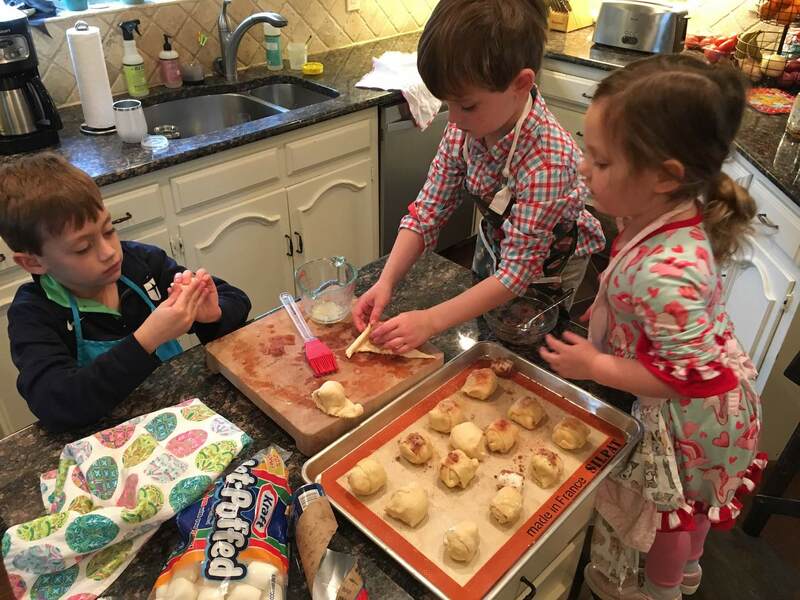 They enjoyed watching me pull the rolls out of the oven and breaking one open to find an empty tomb! I love seeing the excitement on their faces. We discussed the excitement created when Jesus rose from the dead to save all of us, just as he said he would. 2. 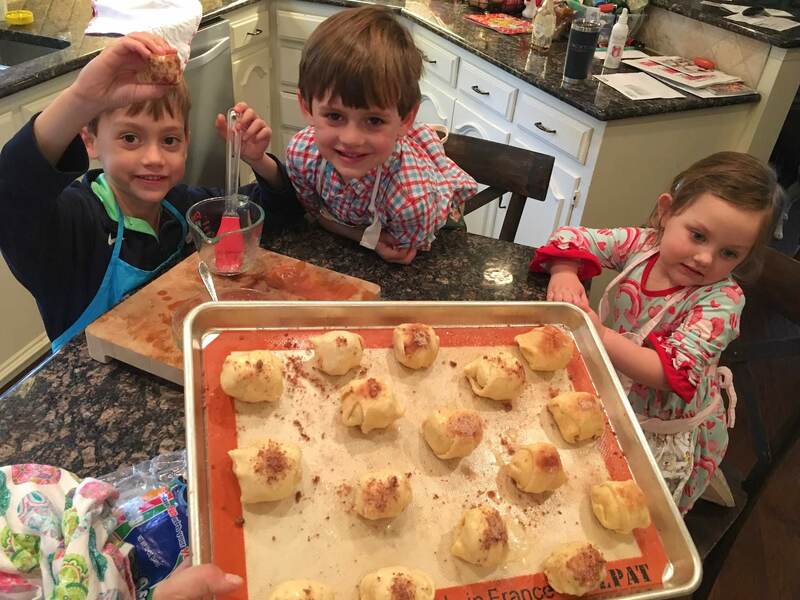 Unroll crescent roll dough, and separate each roll along the perforations. 3. 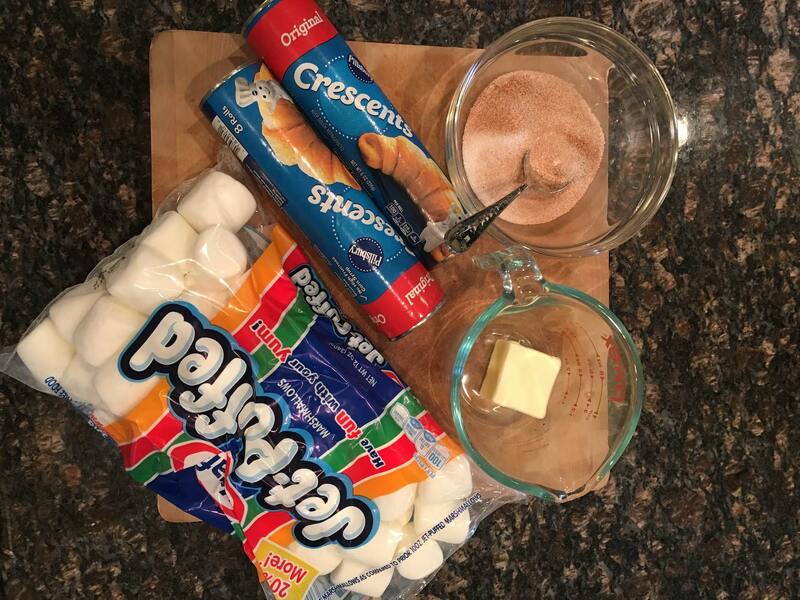 Roll marshmallows in melted butter, and then in cinnamon-sugar mixture. 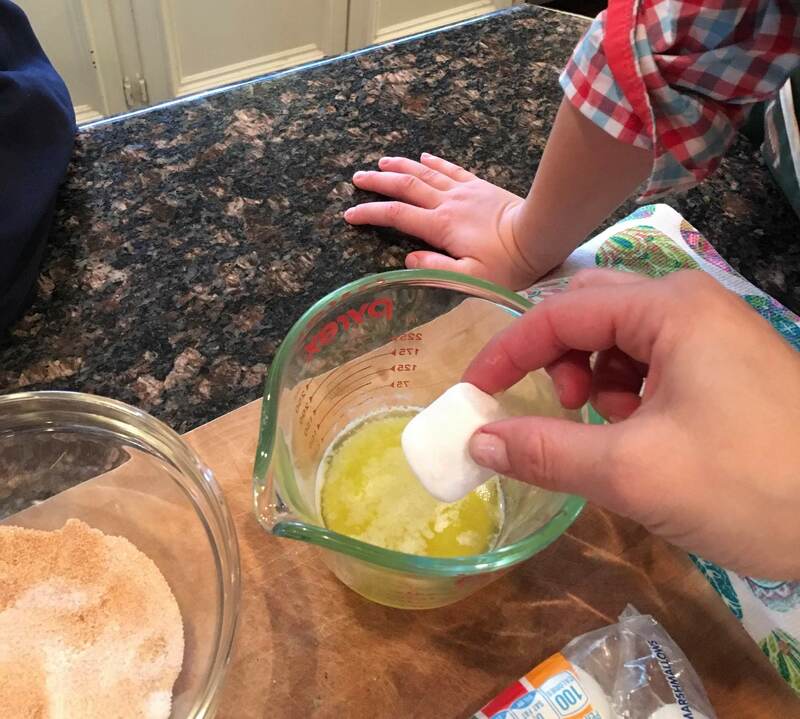 Place one coated marshmallow in the middle of an unrolled crescent dough segment, and roll the marshmallow until completely covered by the dough, pushing in the sides as you go. Pinch seams on either end to seal each roll. 4. Place rolls on a pan, and bake at 350 for about 12 minutes. 5. 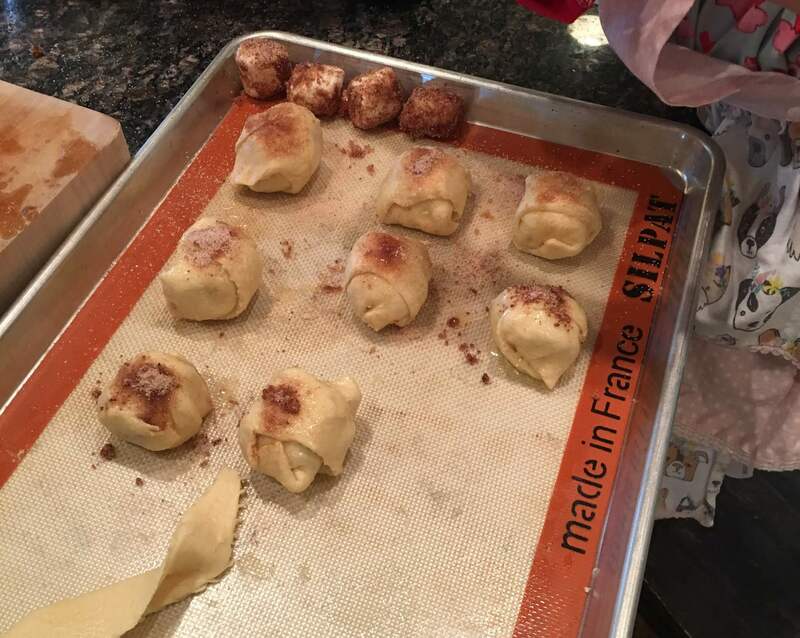 Immediately after removing the rolls from the oven, brush with remaining melted butter and then sprinkle with remaining cinnamon-sugar mixture. Serve warm. The marshmallow represents Jesus. He has died on the cross and is being wrapped in cloth/clothing (the cinnamon-sugar mixture). Then He is placed in the tomb (the crescent roll dough). When the rolls come out of the oven and have cooled, have your child break it half. The marshmallow (Jesus) is gone! Proclaiming Christ's passion, death, and resurrection, Holy Week and Easter services mark the pinnacle of the Christian year and provide space to reflect upon Christ's saving work for us and this world. From Palm Sunday through Good Friday, to Holy Saturday and Easter Sunday, there are plenty of opportunities for you to worship with us. Our prayer is that you will experience the transformative power of Christ's resurrection in a unique and meaningful way this year, leading you to become a more deeply devoted follower of Jesus Christ.